Final preparations are in full swing for this Saturday’s spectacular QIPCO Irish Champion Stakes. We would like to inform you that the feature race on the day, the QIPCO Irish Champion Stakes feature race will now take place one hour earlier at 5.45pm. For the fashionista’s amongst you who wish to enter the Longines Prize For Elegance for ladies and gentlemen, please ensure you are at Leopardstown for 2.00pm. 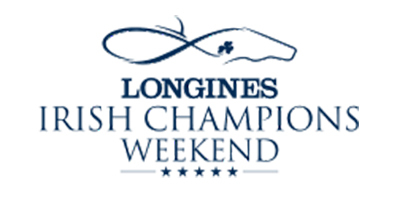 You don’t need to register to enter – simply take a photo of your outfit and post to the Irish Champions Weekend Instagram account using #prizeforelegance. Don’t forget that traffic and parking will be at a premium, so come early and stay and enjoy the after racing entertainment in the Champions Marquee with the Charles Cavanagh Band in the Champions Quarter Marquee. Leopardstown provides a Courtesy Shuttle Bus that runs to and from the Sandyford Luas stop to all Public Car Parks – from 11.30am to 9.30pm approx. For those driving, please take Exit 15, M50 Southbound.